A big part of activating a community space is activating the instruments within. In a city where space is a contentious issue, many musicians - even pianists - don't have access to pianos. Aberthau houses three beautiful pianos that are used by community members, musicians and dance companies on the regular. Project Connect seeks to connect people to pianos while connecting the community to music. Joining us for the inaugural Project Connect is pianist Hank Bull. A multidisciplinary artist with an illustrious career, Hank regularly plays blues, bebop and improvisational piano music! Catch him play a tune or two on Family Day, Monday February 18 from 10:30am-12pm in the Oak Room @ Aberthau Mansion. Stay tuned for a regular schedule! Welcome to Music off the Page! 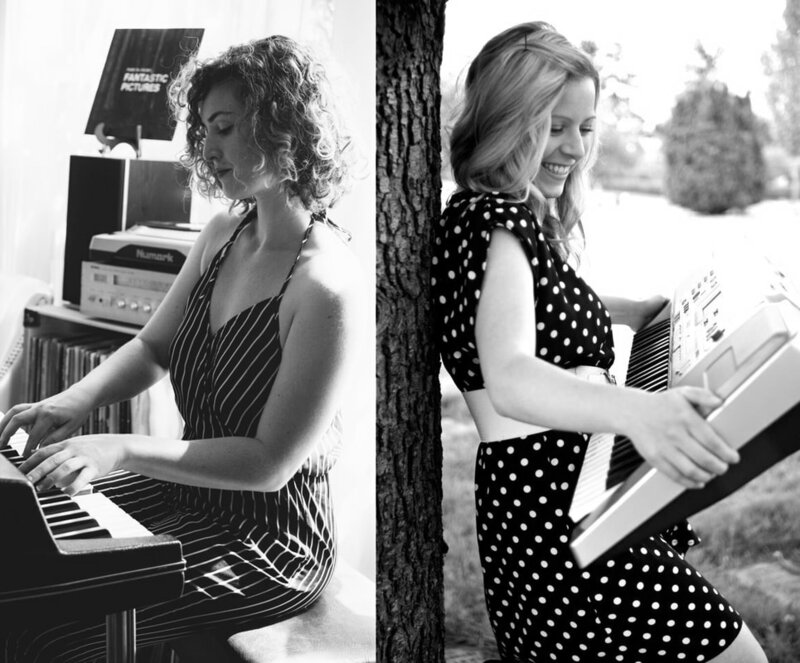 Music off the Page is comprised of sound artists and educators Róisín Adams and Emily Best. As professional musicians and instructors in the community, their goal is to inspire collaborations between musicians (from beginner to professional), engage with the community through music and discourse, as well as offer accessible music programming that explores sound and music for participants of all ages. Thematic areas of interest are: philosophy of sound, improvisation, composition, music education, breaking down barriers to musical development, debunking piano pedagogy and extreme musical self-expression. Their work in the Fieldhouse studio project aims to further develop their artistic and educational practices, cultivate music appreciation and inspire musical collaborations within the community, in hopes of promoting accessibility and interest in music and connecting Vancouver’s vibrant musical community to the community at large. Music off the Page started a multi-year residency at Aberthau House in West Point Grey Community Centre in 2019. Located at 4937 West 2nd, Aberthau is a site for multi-disciplinary creative engagements with the community.